Oh the 1940’s, where the term “hillbilly” was, at least in Woody Guthrie’s mind, an indication of educated patriotism. 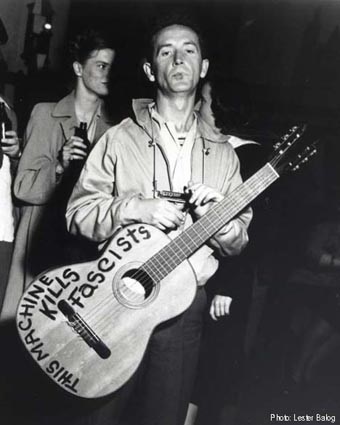 “All You Fascists” is one of the most prescient Guthrie songs, an incredible salute to an American dream that would not be realized for another 25 years. Guthrie sings of a world where race hatred is a thing of the past. He longs for great change in the country, where fascism can be ended domestically and across seas. Dylan learned from the best.